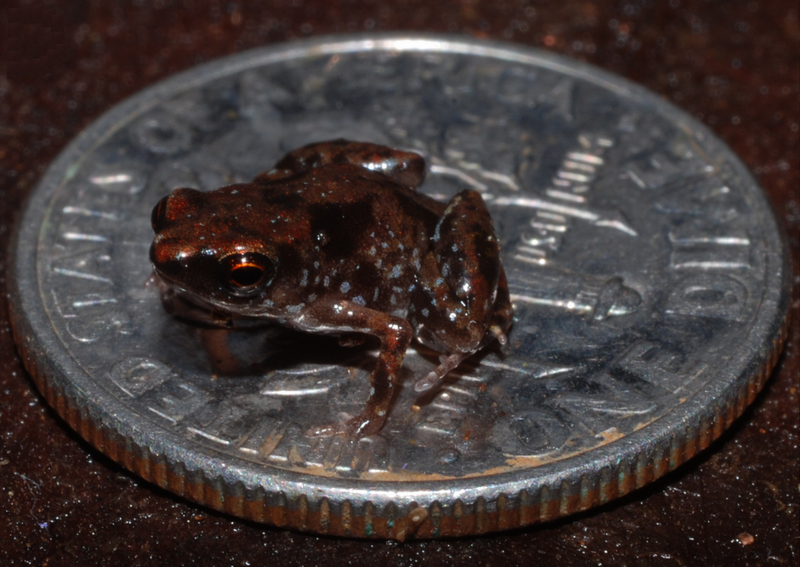 About three years ago, I had made a post about Eleutherodactylus cosnipatae, the world's smallest frog species. I am currently in the process of updating all the older posts with new information and this is how I found that E.cosnipatae no longer holds this record. The record was broken about 2 years ago by Paedophryne amauensis, which has an average length of only 7.7 mm. Actually, it's a double record, as Paedophryne amauensis became both the world's smallest known frog and the smallest known vertebrate. The existence of a frog that is just a bit bigger than the common fly is really mind-blowing! The species was discovered in August 2009, by Louisiana State University herpetologist Christopher Austin and his PhD student Eric Rittmeyer, during an expedition to explore the biodiversity of Papua New Guinea. It was formally described in January 2012, and was discovered near Amau village in the Central Province. In their paper, the researchers note that discovering the species was not easy. Male frogs use calls that resemble sounds made by insects and both sexes camouflage themselves in the leaves of the forest floor. These two traits, combined with their tiny stature is most probably why the species has gone unnoticed for such a long time. To catch them, the researchers resorted to sound triangulation, as the high pitch of the calls made them especially hard to locate using human hearing. The frog was first sighted while the two scientists were scooping up handfuls of leaf litter and putting it into plastic bags when "eventually we saw this tiny thing hop off one of the leaves", as Austin put it. "The New Guinea forests are incredibly loud at night; and we were trying to record frog calls in the forest, and we were curious as to what these other sounds were. So we triangulated to where these calls were coming from, and looked through the leaf litter. It was night, these things are incredibly small; so what we did after several frustrating attempts was to grab a whole handful of leaf litter and throw it inside a clear plastic bag.When we did so, we saw these incredibly tiny frogs hopping around," said Austin, while describing the discovery to BBC News. During the same expedition, the researchers discovered another member of the same genus, Paedophryne swiftorum. 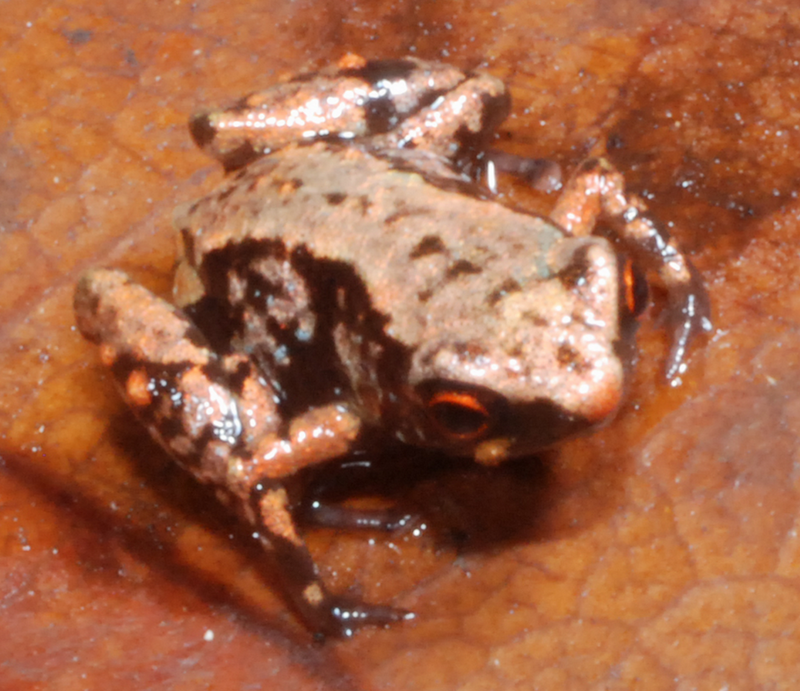 Again, a very small frog, with an average length of only 8.6 millimeters. Austin believes that P.amauensis and other tiny frog species have evolved this way in an effort to fill a niche that nothing else is filling. Their tiny size allows them to consume very small invertebrates, like mites, that no other predator eats. P. amauensis has an average body length of only 7.7 millimetres (~0.30 in) and comes with dark-brown, earth-like colors that allow it to blend in with the leaves of the forest floor. Individuals are essentially invisible to the naked eye. 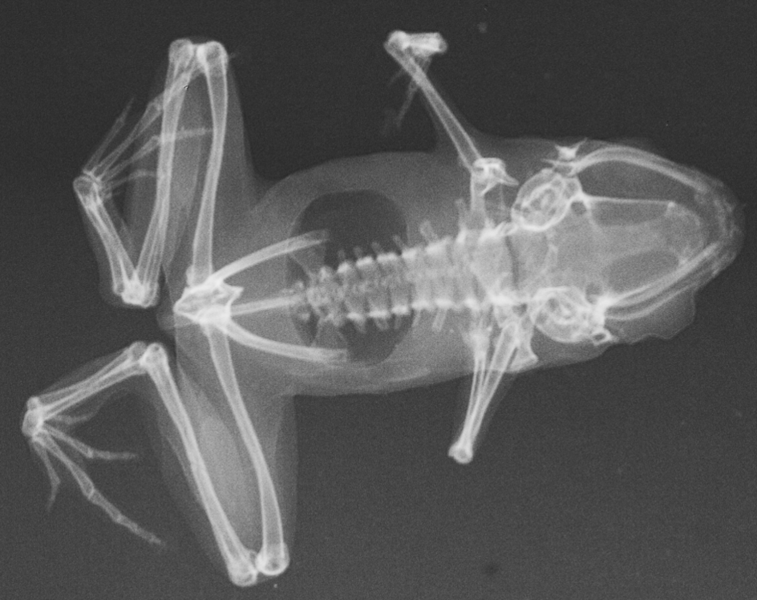 Their skeleton is reduced and there are only seven presacral vertebrae present. They have a much higher -relative to their size- surface area than most other frog species, so they’re vulnerable to drying out. This probably explains why both them and the rest of the Paedophryne species occur in the damp leaf litter of tropical rainforests, or among moist moss. They are very good hoppers, being able to jump thirty times their body length. 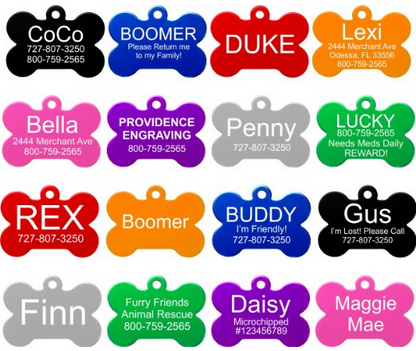 There is very little research on the species and thus we don't know much about their behavioral patterns. They appear to be crepuscular (active primarily during twilight). Males have been recorded to use a series of very high-pitched insect-like peeps, with a frequency of 8400–9400 Hz. Hatchlings skip the tadpole stage and look like adult-miniatures. They eat incredibly small insects and other invertebrates that are too small for other predators to eat. It is presumed that they fall prey to a large number of small -but larger than them- invertebrates, like scorpions. Their conservation status has yet to be officially assessed, however many species in the area are threatened by habitat loss, deforestation, climate change, overdevelopment and other human-related activities, P. amauensis is probably no exception. - The previous record holder for smallest vertebrate was a species of cyprinid fish (Paedocypris progenetica), with an average length of 7.9 mm. - P. amauensis was listed in the Top 10 New Species 2013 by the International Institute for Species Exploration for discoveries made during 2012. - Black, Richard (11 January 2012). "World's smallest frog discovered". BBC News. Retrieved 12 January 2012.